FM 500 was designated on July 13, 1945, from SH 16 northwestward 6.5 miles to Fairview. On November 23, 1948, FM 500 extended northwest 4.4 miles. On September 29, 1954, FM 500 extended northwest 4 miles. On August 24, 1955, FM 500 extended west to FM 45, replacing FM 1479. FM 501 was authorized on July 13, 1945 as a 3.4-mile road between SH 16 in Cherokee and the Salt Branch Road in San Saba County. The road's designation changed to a Ranch to Market Road on October 31, 1957. Ranch to Market Road 501 is a 35.6-mile Texas Ranch-to-Market road in Mason and San Saba Counties. Beginning at a junction with SH 71 in Pontotoc the road travels north and east to Cherokee then north and east to a junction with FM 580 SW of Bend. RM 501, which was a 3.4-mile road between SH 16 in Cherokee and the Salt Creek Road in San Saba County, was created on October 31, 1957, as a designation change from FM 501. 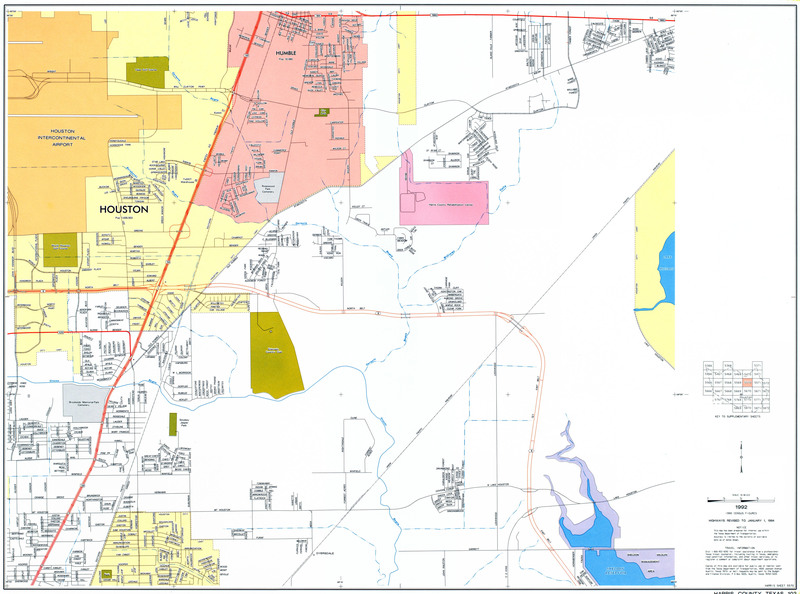 RM 501 also extended west to Pontotoc, replacing FM 1648, necessitating the change from FM 501 to RM 501. On October 31, 1958, RM 501 extended east 6 miles. On September 27, 1960, the road was extended to a junction with FM 580. FM 502 was designated on July 14, 1945, from US 377 southeast and east 4 miles to the Milburn Road. On September 24, 1954, FM 502 extended east to the end of FM 2048 at the McCulloch-San Saba County Line. Later that day, FM 2048 was cancelled and combined with FM 502. FM 504 was designated on July 14, 1945, from US 283 west and south 3.5 miles through Lohn to a point 5 miles east of Pear Valley. On July 21, 1949, FM 504 extended west 2.8 miles. On May 23, 1951, FM 504 extended west 3.2 through Pear Valley to a road intersection. On November 20, 1951, FM 504 extended west 3.1 miles. On December 17, 1952, FM 504 extended west 2 miles to FM 503. RM 505 lies entirely within Jeff Davis County in the Trans-Pecos region of far West Texas. Intended to provide a link between the county's only two incorporated areas, Valentine and Fort Davis, RM 505 begins at a junction with US 90 south of Valentine and travels about 8.8 miles (14.2 km) east to an intersection with SH 166 approximately 22 miles (35 km) west of Fort Davis. Farm to Market Road 513 is located in Hunt and Rains counties. FM 513 was designated on June 25, 1945, from SH 24 (now SH 224) in Commerce via Campbell to US 69 in Lone Oak. On November 23, 1948, FM 513 extended south 5.8 miles. On October 26, 1954, FM 513 extended south to FM 35 (now SH 276), replacing FM 1974. On August 28, 1958, one section was transferred to Spur 178. On May 1, 1965, the section from FM 819 to Spur 178 was transferred to the new SH 50, as well as FM 819 itself. Farm to Market Road 517 is located in Brazoria and Galveston counties. It runs from SH 6 in Alvin to FM 146. FM 517 was designated on July 9, 1945, from US 75 at Dickinson east to SH 146 at San Leon, and US 75 at Dickinson west to the Brazoria County line. The Dickinson-Brazoria County line portion was cancelled on January 18, 1946, and the road was extended west to Alta Loma on July 20, 1948 via what was previously FM 517, and what was previously FM 520. On December 17, 1952, the road was extended west to SH 6, and a 4.8-mile section of FM 517 was transferred to FM 646 (this portion was originally planned as FM 520). On October 28, 1953, the road was extended northeast to Edwards Point. On September 21, 1955, the road was extended west from Edwards Point to SH 146, and then west and south via Bacliff to FM 517 on May 2, 1962, creating a loop route. The FM 3436-FM 517 portion was transferred to FM 3436 (partially now FM 646) on January 28, 1982. The final change was on June 27, 1995, when the UR 646-San Leon portion was transferred to UR 517. Farm to Market Road 518 is located in Brazoria and Galveston counties. It runs from SH 288 to SH 146 (future SH 99). FM 518 was designated on June 21, 1945, from US 59 (now Alt. US 90) on the south side of Houston south to the Brazoria County line. On July 9, 1945, the road was extended south and east to Kemah via Pearland and League City, but the US 75-Brazoria County line portion was cancelled on January 18, 1946, creating a gap. This gap was closed on January 27, 1949, when a section from League City to the Brazoria County line was added. On January 16, 1968, the eastern terminus was relocated and FM 518 was rerouted, replacing a portion of FM 1266. The old route was renumbered FM 2094. On September 13, 1984, the Alt. US 90-FM 518 portion was transferred to FM 865 and FM 518 was rerouted over FM 3344, which was cancelled. The final change was on June 30, 1995, when the entire route was transferred to UR 518. Retail construction between FM 518 and FM 521 in Pearland is coming soon in the near future. Farm to Market Road 519 is located in Galveston County. It runs from SH 6 in Hitchcock to Loop 197 (now Spur 197) in Texas City. FM 519 was designated on July 9, 1945, from Hitchcock to US 75 near La Marque. On November 29, 1990, the road was extended east to Loop 197, replacing SH 341. The final change was on June 17, 1995, when the entire route was transferred to UR 519. Farm to Market Road 520 is located in Hansford County and Sherman County. It runs from SH 207 near Spearman to FM 1060. FM 520 was designated on May 23, 1951, from SH 117 (renumbered SH 15 on October 26, 1954, this portion of SH 15 transferred to SH 207 on September 1, 1965) west to McKibben. SH 117 was renumbered SH 15 on October 26, 1954. On September 21, 1955, FM 520 extended west to FM 278 (this section transferred to SH 136 on November 21, 1963). On May 25, 1976, FM 520 extended west to FM 1060, completing its current length. The first FM 520 was designated on July 9, 1945, from SH 6 at Alta Loma north to FM 517 between Dickinson and Alvin. The route was cancelled on January 13, 1946. FM 517 (now FM 646) was routed over FM 520 in 1948. Farm to Market Road 521 is located in Southeast Texas. It runs from US 90A in Houston to SH 35 near Palacios. At nearly 95 miles, FM 521 is one of the longest farm-to-market roads in Texas. FM 521 was designated on July 9, 1945, from SH 36 in Brazoria to SH 35 at Bailey's Prairie. On January 16, 1953, the road was extended southwest and west to SH 60 in Wadsworth, replacing FM 1090, FM 1469 and a portion of FM 524. On September 29, 1954, the road was extended to SH 35 near Palacios, replacing FM 460 and FM 1096. A month later the road was extended northeast to SH 288 (now BS 288-B). On September 21, 1955, the road was rerouted around Wadsworth; the old route was redesignated FM 2078. On October 24, 1956, a 1.3-mile section of FM 521 from Brazoria northeastward was transferred to SH 332. On December 14, 1981, the road was extended over a former routing of SH 288 to US 90A in Houston. The final change came on June 27, 1995, when the UR 2234-US 90A portion was transferred to UR 521. Farm to Market Road 522 is located in Brazoria County. It runs from SH 36 near West Columbia to FM 1459. FM 522 was designated on July 9, 1945, from SH 36, 2 miles southeast of West Columbia to Blacks Ferry. The only change to the route was on May 2, 1962, when the road was extended southwest to FM 1459. Farm to Market Road 523 is located in Brazoria County. it runs from SH 288 in Freeport to FM 521. FM 523 was designated on July 9, 1945, from SH 288 in Freeport to Stratton Ridge. On July 22, 1949, FM 523 extended to SH 35, replacing FM 1091. On December 4, 1961, the northern terminus in Angleton was relocated. On May 23, 1983, the old location of FM 523 via Downing Street was given to the city of Angleton. On September 29, 1992, FM 523 extended to FM 521, replacing Loop 558 and FM 3507. Farm to Market Road 524 is located in Brazoria County. It runs from FM 1301 near West Columbia to FM 521. FM 524 was designated on July 9, 1945, from Brazoria via Sweeny to SH 35. On January 16, 1953, a 6.1-mile section of FM 524 was transferred to FM 521. On June 9, 1958, a section from FM 1301 to SH 35 was added, replacing FM 1089. The final change was on April 29, 2012, when the road was rerouted around the ConocoPhillips facility northwest of Sweeny due to security concerns. Farm to Market Road 525 is located in Harris County. It runs from I-45 west to I-69/US 59 on the north side of Houston. The road is known locally as Aldine-Bender Road. FM 525 was designated on June 21, 1945, from US 59, 10 miles north of Houston, west to US 75 (now I-45). On March 1, 1961, the eastern terminus was relocated south to link up with a proposed interchange at Lee Road and US 59. On June 30, 1995, the entire route was transferred to UR 525. The final change was on May 29, 2014, when FM 525 was rerouted back to its 1945 configuration, while the old route following Lee Road was redesignated FM Spur 525 (FS 525). FM 525 was also extended east 0.3 mile to Marine Road. Farm to Market Road 526 is located in Harris County. It runs from I-10 to US 90 Business. The road is known locally as Maxey Road. FM 526 was designated on June 21, 1941, as a spur from US 90 northeast of Houston south 6 miles to the Market Street Road. On November 19, 1952, the road was rerouted to end at SH 73 (now I-10). On September 18, 1961, the northern terminus was relocated to a new alignment of US 90, replacing FM 2613. The old route is now Oates Road. The final change came on June 27, 1995, when the entire route was transferred to UR 526. Farm to Market Road 527 (FM 527) was a designation applied to a highway in Harris County. There is no highway currently using the FM 527 designation. FM 527 was designated on June 21, 1945, from U.S. Highway 90 (US 90) northeast of Houston, west and north 6 miles (9.7 km) to a point near Dyersdale. This route followed what is now Liberty Road, Houston Road, Fields Street and Mesa Drive. On November 1, 1967, the southern terminus was relocated and FM 527 followed Mesa Drive for the entire route. By district request, FM 527 was canceled on August 23, 1991, and removed from the highway system; the portion from US 90 to the north Houston city limits was returned to the city of Houston; the remaining portion was returned to Harris County. The entire route was in Houston, Harris County. Farm to Market Road 528 (FM 528) is located in Harris, Galveston and Brazoria counties. It runs from BS 35-C in Alvin northeast to I‑45 in Webster. FM 528 was designated on June 21, 1945, from US 75 (now I‑45) east to SH 146 at Seabrook. On January 16, 1953, the road was extended west to SH 35 (later Loop 409; now BS 35-C) north of Alvin, replacing FM 1461. The section from I-45 east to SH 146 was transferred to NASA Road 1 on January 27, 1965. On June 27, 1995, the route was transferred to UR 528. The final change was on March 25, 2010, when UR 528 was extended southwest to SH 6, however this section remains unbuilt. Farm to Market Road 529 is located in Austin, Waller, and Harris counties. It runs from US 290 near Houston to SH 159 in Bellville. FM 529 was designated on June 21, 1945, from US 290, 10 miles northwest of Houston, west 7 miles to an oil field. This route remained unchanged until June 28, 1963, when it was extended west to the Waller County line. On May 6, 1964, the road was again extended west to FM 362. On June 1, 1965, a section from FM 362 west to FM 331 was added. On April 6, 1970, the road was extended to SH 159 at Bellville, replacing a section of FM 331. The final change was on June 27, 1995, when the US 290-SH 99 portion was transferred to UR 529. Farm to Market Road 530 is located in Lavaca and Jackson Counties. It runs from US 90A to US 59 northeast of Edna. FM 530 was designated on July 9, 1945, from US 90A (then SH 200) southeast 6 miles toward Vienna. On August 26, 1948, FM 530 extended southeast 4.45 miles to Vienna. On January 27, 1950, the road extended southeast 8.4 miles. On May 23, 1951, the road extended southeast 3.2 miles to a road intersection. On November 20, 1951, the road extended southeast to the Lavaca-Jackson County line. On December 17, 1952, FM 530 extended southeast to US 59, replacing FM 719. On July 25, 1960, the northern terminus of FM 530 was relocated. Farm to Market Road 531 is located in Lavaca County. It runs from US 90A to Ezzell. FM 531 was designated on July 9, 1945, from what was then Spur 27 at Sweet Home to Koerth. On November 20, 1946, the road was extended to three miles north of US 77, replacing Spur 27 and FM 534. The final change was on July 14, 1949, when the road was extended northwest to SH 200 (now US 90A) and east to its current end, replacing FM 959. The first FM 534 was designated on July 9, 1945, from US 77 at Spur 27 north three miles. FM 534 was cancelled on November 20, 1946, and became a portion of FM 531. Farm to Market Road 536 is located in Atascosa and Wilson Counties. It starts at SH 97 & US 181 in Floresville in the east, passes across Interstate 37, and terminates at US 281 just north of Fleming. FM 536 was designated on July 9, 1945, from SH 97 (now Loop 181) in Floresville west 6 miles toward Fairview. On December 16, 1948, FM 536 extended west 5.8 miles to Fairview. On December 17, 1952, FM 536 extended west to US 281, replacing FM 1892. On October 23, 1965, FM 536 extended east to US 181 and SH 97, completing its current route. The first FM 540 was designated on July 9, 1945, from SH 123 near the Guadalupe County line 3.5 miles towards Swift School. FM 540 was cancelled on November 21, 1956, and combined with FM 1681. Farm to Market Road 547 begins at an intersection with Farm to Market Road 6 in Nevada. The highway runs north along Moore Street to County Road 850 and turns to the west. FM 547 runs west until Farm to Market Road 1778 and turns back to the north. FM 547 ends at an intersection with U.S. Route 380 just east of Farmersville. FM 547 was designated on July 9, 1945 on its current route. FM 549 runs from an intersection with Farm to Market Road 550/Farm to Market Road 740 in Heath to State Highway 205 in southern Rockwall. FM 549 has a short overlap with SH 205. The highway ends at an intersection with State Highway 276. In Heath the highway is known as Buffalo Way and Hubbard Road. FM 549 was designated on July 9, 1945, from US 67 (this section was redesignated as part of FM 7 on July 16, 1957, and FM 7 was redesignated as SH 66 on November 30, 1961) to SH 205. On June 1, 1965, FM 549 extended southwest to FM 740. On May 25, 1976, FM 549 extended north to FM 552. On September 24, 2009, the section from I-30 to SH 276 was given to the city of Rockwall, so the section north of I-30 was renumbered FM 3549. FM 550 begins at an intersection with Farm to Market Road 549/Farm to Market Road 740 in Heath. The highway runs east to McLendon-Chisholm where it intersects with State Highway 205. FM 550 runs north from SH 205 to State Highway 276, where FM 550 ends. FM 550 was designated on July 9, 1945, from Rockwall, southward via Heath to SH 205. On November 4, 1955, the section north of FM 740 was transferred to FM 740, and FM 550 replaced a section of FM 548 northeast to FM 1143. On November 26, 1969, FM 1143 was cancelled and transferred to SH 276. Farm to Market Road 553 is located in Freestone County. It runs from State Highway 179 to U.S. Route 84 in eastern Teague. FM 553 was designated on November 25, 1975, on the current route. The entire route is in Teague, Freestone County. The first FM 553 was designated on July 13, 1945, from SH 154, 1 mile west of Gilmer, northwest to Enon. On November 23, 1948, the road was extended to Grice. FM 553 was cancelled on June 19, 1967, and combined with FM 852. It was not signed as FM 852 until January 1, 1968. Farm to Market Road 554 is located in Ector County. It runs from SH 158 in Gardendale to Loop 338. FM 554 was designated on October 26, 1983, on the current route. The first FM 554 was designated on July 13, 1945, from SH 154 just west of Gilmer southwest to Latch. On November 20, 1961, the road was extended to FM 1002. FM 554 was cancelled on August 3, 1971, and transferred to FM 49 and FM 1795. Farm to Market Road 562 is located in Chambers County. It runs from SH 61/SH 65 south 10 miles, then southwest 15.9 miles to Smith Point. FM 562 was designated on July 9, 1945, from the junction of SH 61 and SH 73T (now SH 65) south 10 miles to 2.6 miles south of Double Bayou. The only change was on January 27, 1950, when the road was extended southwest to Smith Point. Farm to Market Road 564 is a designation that has been used twice. There is no highway currently using the FM 564 designation. The original FM 564 was designated on July 9, 1945, from Anahuac south to Scherer. FM 564 was cancelled on April 10, 1965, and removed from the state highway system. The next use of the FM 564 designation was on July 11, 1968, from US 69 northwest of Mineola south to US 80. On February 1, 1973, the road was extended around the city back to its northern terminus, forming a loop. FM 564 was cancelled on March 25, 2010, and transferred to Loop 564. Construction still has not been completed. Farm to Market Road 565 is located in Chambers County. It runs from Loop 207 in Mont Belvieu to SH 146 in Baytown. FM 565 was designated on July 9, 1945, from Mont Belvieu to 2 miles southeast of Winfree. The only change was on November 23, 1948, when the road was extended to SH 146 in Baytown. An extension from Loop 207 west to SH 146 will open soon, as traffic lights have been set up. Farm to Market Road 566 is located in Ellis County. It runs from US 77 in Milford to I-35E. FM 566 was designated on July 1, 1964, on the current route. The first FM 566 was designated on July 18, 1945, from US 67 in Valera south 6.2 miles to West Road 3.5 miles north of Voss. On July 15, 1949, the road was extended south 3.5 miles to Voss. On December 17, 1952, the road was extended south 4.3 miles to a road intersection. On April 25, 1960, the northern terminus was relocated. FM 566 was cancelled on October 14, 1960, and transferred to FM 503. Farm to Market Road 568 is located in Coleman County. It runs from SH 206 in Coleman to an intersection with County Roads 127 and 134. FM 568 was designated on July 18, 1945, from US 84, 2 miles southeast of Coleman, east 4.5 miles to an intersection with Echo Road. The route description was changed on August 4, 1945 to go from US 84 east and south 4.5 miles. On January 27, 1948 the route was changed to go from US 84, 2.5 miles southeast of Coleman, east 5.3 miles. On November 23, 1948, the road was extended south to US 67/US 84 near Santa Anna. This section was renumbered as FM 1176 on April 13, 1949. On October 16, 1951, the road was extended east and northeast 3.6 miles to a road intersection, and extended northeast another 2.2 miles to a second road intersection on November 20, 1951. On October 24, 1955, the road was extended to SH 206, replacing Loop 175 (formerly SH 359). Farm to Market Road 577 is located in Washington County. It runs from SH 36, northwest of Brenham, east and southeast to US 290, southeast of Brenham, forming a partial loop. It is known locally as Gun and Rod Road and Blue Bell Road. Blue Bell Creameries is located on this road. FM 577 was designated on October 31, 1957, from SH 36 (now BS 36-J) at Horton Street east to SH 90 (now SH 105). On June 28, 1963, the road was extended southeast to US 290. On July 25, 1993, the road was extended west to SH 36, bringing the highway to its current configuration. The first FM 577 was designated on July 21, 1945, from US 180, 4 miles east of Breckenridge southeast 8.5 miles to Necessity. On November 23, 1948, the road was extended southeast 2.7 miles, then southeast and east another 2.4 miles on July 15, 1949, and finally east 3.6 miles to FM 717 on September 15, 1955. FM 577 was cancelled on March 27, 1957, and transferred to FM 207. Farm to Market Road 579 is a designation that has been used three times. The current use dates from 1979 in Leon County. FM 579 was designated on September 26, 1979, from FM 1119, 2.5 miles southeast of FM 977, south to the Madison County line. On October 21, 1981, the road was extended south to SH OSR. The first use of the FM 579 designation was in Stephens County, from SH 67, 9 miles south of Breckenridge, east 4.5 miles to the Wayland/Necessity Road. FM 579 was cancelled on August 1, 1947, and mileage was used by an extension of FM 701. The second use of the FM 579 designation was in Floyd County on May 23, 1951, from US 62, 3 miles south of Floydada west 4.1 miles to a road intersection. On November 20, 1951, the road was extended west to FM 784 (now FM 378). A portion from FM 789 east to FM 378 was added on December 21, 1959, replacing a portion of FM 784 and creating a concurrency at FM 378. A section from FM 400 east to FM 789 was added on July 11, 1968, creating a concurrency at FM 789. FM 579 was cancelled on September 19, 1968, and combined with FM 37. Farm to Market Road 582 is located in Zavala County. It runs from FM 65 in Crystal City to FM 395. FM 582 is known locally as Lake Street, South 7th Avenue and Rock Quarry Road in Crystal City. FM 582 was designated on October 31, 1958, from FM 65 at Crystal City east to FM 395 as a replacement of a section of FM 395 (which was rerouted on a new road to the south). On May 20, 1961, the road was extended east, north and west to FM 395. The final change was on August 1, 1962, when a section of FM 582 between FM 65 and FM 1433 was relocated to follow Lake Street, creating a concurrency with FM 1433. The original FM 582 was designated on July 14, 1945, from US 190 in Lampasas northeast 8 miles to the Copperas Cove Road. On November 23, 1948, the road was extended northeast 4.8 miles to Rumley. On July 15, 1949, the road was extended northeast 5 miles to a road intersection near the Coryell County line. On October 26, 1954, the road was extended 1.6 miles northeast to FM 1113 at Topsey. FM 582 was cancelled on March 27, 1957, and transferred to FM 580. Ranch to Market Road 584 is located in Tom Green County. The highway was designated on November 24, 1959, running from Loop 306 northeast to Avenue N in San Angelo. On June 28, 1963, the highway was extended southwest 4.9 miles. On November 26, 1969, RM 584's northern terminus was relocated from Avenue N to US 87 along Avenue Q and Knickerbocker Road. On May 25, 1976, the highway was extended southwestward and soutweastward to US 277. On June 27, 1995, the section of RM 584 from County Road 225 to US 87/US 277 was transferred to Urban Road 584. RM 584 begins at an intersection with US 277 south of San Angelo. The highway runs west for approximately a mile before turning northwest. RM 584 passes near San Angelo Regional Airport before crossing Lake Nasworthy and entering the city limits of San Angelo. In San Angelo, RM 584 is known locally as Knickerbocker Road and runs through the city's south side. Between Lake Nasworthy and Loop 306, the highway runs by many subdivisions before passing a major retail center just north of Loop 306. North of Loop 306, RM 584 runs just south of Angelo State University before ending at an intersection with US 87/US 277. FM 584 was designated on July 16, 1945, from US 84 in Zephyr northeast 3.5 miles to a road near Dry Blanket Creek in Brown County. On May 23, 1951, FM 584 was extended northeast 4.9 miles to the Comanche County line. FM 584 was cancelled on November 20, 1951, and combined with FM 590. Farm to Market Road 594 is a designation that has been used four times. The current use is in Washington County, from FM 1948 northwest to Flat Prairie. The first use of FM 594 was in Hale County on July 9, 1945, from FM 54, 8 miles west of US 87, northward 7.5 miles to Cotton Center. A portion from US 70, 2 miles west of Halfway southward 9 miles to a road intersection was added on April 4, 1949, replacing FM 1069 and creating a gap. This gap was closed on November 20, 1951. FM 594 was cancelled on August 20, 1964, and transferred to FM 179. The next use of the FM 594 designation was in Floyd County, from US 70 in Floydada east 0.9 miles along Price Street to SH 207. This second use was short-lived, as FM 594 was combined with FM 784 just three months later, though this FM 594 was not cancelled until it was built. The third use of the FM 594 designation was in Bell County, from US 190, 1 mile west of I-35, south and east two miles to I-35 at Loop 121. FM 594 was cancelled on October 11, 1978, and combined with Loop 121. Farm to Market Road 598 is located in Kaufman County. It runs from FM 1392 southeast to SH 205 in Terrell. It was not opened until very recently. The first FM 598 was designated on July 21, 1945, from SH 86, 7 miles west of Silverton, south 6 miles. Between May 7 and June 2, 1948, an 11.3 mile section from Lockney north to Lone Star School was added, replacing FM 787 and creating a gap. The northern portion was extended south 2 miles on July 14, 1949, and the gap was closed on December 17, 1952. On October 31, 1958, the road was extended to Loop 75 in Lockney. FM 598 was cancelled on December 21, 1959, and transferred to FM 378. ^ FM 516 was previously designated as RM 516 from 1945 to 1946. ^ The certified length given is shorter than the actual mileage, as the TxDOT description of FM 549 considers it to be discontinuous at rather than concurrent with SH 205 in Rockwall. ^ a b Transportation Planning and Programming Division (n.d.). "Farm to Market Road No. 500". Highway Designation Files. Texas Department of Transportation. Retrieved 2015-01-05. ^ a b Transportation Planning and Programming Division (n.d.). "Ranch to Market Road No. 501". Highway Designation Files. Texas Department of Transportation. Retrieved 2015-01-05. ^ a b Transportation Planning and Programming Division (n.d.). "Farm to Market Road No. 502". Highway Designation Files. Texas Department of Transportation. Retrieved 2015-01-05. ^ a b Transportation Planning and Programming Division (n.d.). "Farm to Market Road No. 503". Highway Designation Files. Texas Department of Transportation. Retrieved 2015-01-05. ^ a b Transportation Planning and Programming Division (n.d.). "Farm to Market Road No. 504". Highway Designation Files. Texas Department of Transportation. Retrieved 2015-01-05. ^ a b Transportation Planning and Programming Division (n.d.). "Ranch to Market Road No. 505". Highway Designation Files. Texas Department of Transportation. Retrieved 2015-01-05. ^ a b Transportation Planning and Programming Division (n.d.). "Farm to Market Road No. 506". Highway Designation Files. Texas Department of Transportation. Retrieved 2015-01-05. ^ a b Transportation Planning and Programming Division (n.d.). "Farm to Market Road No. 507". Highway Designation Files. Texas Department of Transportation. Retrieved 2015-01-05. ^ a b Transportation Planning and Programming Division (n.d.). "Farm to Market Road No. 508". Highway Designation Files. Texas Department of Transportation. Retrieved 2015-01-05. ^ a b Transportation Planning and Programming Division (n.d.). "Farm to Market Road No. 509". Highway Designation Files. Texas Department of Transportation. Retrieved 2015-01-05. ^ a b Transportation Planning and Programming Division (n.d.). "Farm to Market Road No. 510". Highway Designation Files. Texas Department of Transportation. Retrieved 2015-01-05. ^ a b Transportation Planning and Programming Division (n.d.). "Farm to Market Road No. 511". Highway Designation Files. Texas Department of Transportation. Retrieved 2015-01-05. ^ a b Transportation Planning and Programming Division (n.d.). "Farm to Market Road No. 512". Highway Designation Files. Texas Department of Transportation. Retrieved 2015-01-05. ^ a b Transportation Planning and Programming Division (n.d.). "Farm to Market Road No. 513". Highway Designation Files. Texas Department of Transportation. Retrieved 2015-01-05. ^ a b Transportation Planning and Programming Division (n.d.). "Farm to Market Road No. 514". Highway Designation Files. Texas Department of Transportation. Retrieved 2015-01-05. ^ a b Transportation Planning and Programming Division (n.d.). "Farm to Market Road No. 515". Highway Designation Files. Texas Department of Transportation. Retrieved 2015-01-05. ^ a b Transportation Planning and Programming Division (n.d.). "Farm to Market Road No. 516". Highway Designation Files. Texas Department of Transportation. Retrieved 2015-01-05. ^ a b Transportation Planning and Programming Division (n.d.). "Farm to Market Road No. 517". Highway Designation Files. Texas Department of Transportation. Retrieved 2015-01-05. ^ a b Transportation Planning and Programming Division (n.d.). "Farm to Market Road No. 518". Highway Designation Files. Texas Department of Transportation. Retrieved 2015-01-05. ^ Christian, Carol (January 17, 2013). "Pearland shoppers push retail growth to top of 5-year charts". Houston Chronicle. Retrieved November 25, 2014. ^ a b Transportation Planning and Programming Division (n.d.). "Farm to Market Road No. 519". Highway Designation Files. Texas Department of Transportation. Retrieved 2015-01-05. ^ a b Transportation Planning and Programming Division (n.d.). "Farm to Market Road No. 520". Highway Designation Files. Texas Department of Transportation. Retrieved 2015-01-05. ^ a b Transportation Planning and Programming Division (n.d.). "Farm to Market Road No. 521". Highway Designation Files. Texas Department of Transportation. Retrieved 2015-01-06. ^ a b Transportation Planning and Programming Division (n.d.). "Farm to Market Road No. 522". Highway Designation Files. Texas Department of Transportation. Retrieved 2015-01-05. ^ a b Transportation Planning and Programming Division (n.d.). "Farm to Market Road No. 523". Highway Designation Files. Texas Department of Transportation. Retrieved 2015-01-05. ^ a b Transportation Planning and Programming Division (n.d.). "Farm to Market Road No. 524". Highway Designation Files. Texas Department of Transportation. Retrieved 2015-01-05. ^ a b Transportation Planning and Programming Division (n.d.). "Farm to Market Road No. 525". Highway Designation Files. Texas Department of Transportation. Retrieved 2015-01-05. ^ Transportation Planning and Programming Division (n.d.). "Farm to Market Spur No. 525". Highway Designation Files. Texas Department of Transportation. ^ a b Transportation Planning and Programming Division (n.d.). "Farm to Market Road No. 526". Highway Designation Files. Texas Department of Transportation. Retrieved 2015-01-05. ^ a b Transportation Planning and Programming Division (n.d.). "Farm to Market Road No. 527". Highway Designation Files. Texas Department of Transportation. Retrieved 2015-01-05. 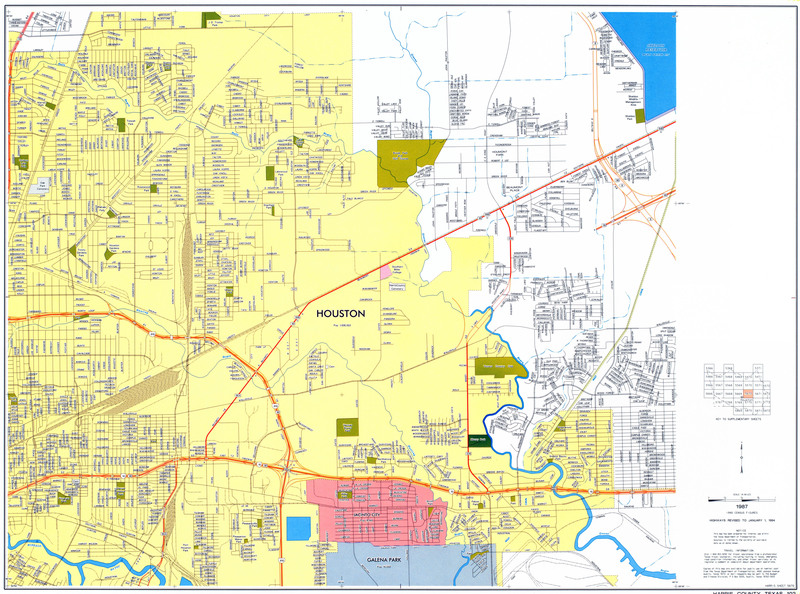 ^ Harris County (Map). Sheet 5670. Texas Department of Transportation. 1994. Retrieved February 14, 2012. ^ Harris County (Map). Sheet 5570. Texas Department of Transportation. 1994. Retrieved February 14, 2012. ^ a b c Transportation Planning and Programming Division (n.d.). "Farm to Market Road No. 528". Highway Designation Files. Texas Department of Transportation. Retrieved January 5, 2015. ^ Transportation Planning and Programming Division (n.d.). "Urban Road No. 528". Highway Designation Files. Texas Department of Transportation. Retrieved July 28, 2018. ^ Google (July 28, 2018). "Overview Map of Farm-to-Market Road 528 Distances Between Intersections" (Map). Google Maps. Google. Retrieved July 28, 2018. ^ a b Transportation Planning and Programming Division (n.d.). "Farm to Market Road No. 529". Highway Designation Files. Texas Department of Transportation. Retrieved 2015-01-05. ^ a b Transportation Planning and Programming Division (n.d.). "Farm to Market Road No. 530". Highway Designation Files. Texas Department of Transportation. Retrieved 2015-01-05. ^ a b Transportation Planning and Programming Division (n.d.). "Farm to Market Road No. 531". Highway Designation Files. Texas Department of Transportation. Retrieved 2015-01-05. ^ a b Transportation Planning and Programming Division (n.d.). "Farm to Market Road No. 532". Highway Designation Files. Texas Department of Transportation. Retrieved 2015-01-05. ^ a b Transportation Planning and Programming Division (n.d.). "Farm to Market Road No. 533". Highway Designation Files. Texas Department of Transportation. Retrieved 2015-01-05. ^ a b Transportation Planning and Programming Division (n.d.). "Farm to Market Road No. 534". Highway Designation Files. Texas Department of Transportation. Retrieved 2015-01-05. ^ a b Transportation Planning and Programming Division (n.d.). "Farm to Market Road No. 535". Highway Designation Files. Texas Department of Transportation. Retrieved 2015-01-05. ^ a b Transportation Planning and Programming Division (n.d.). "Farm to Market Road No. 536". Highway Designation Files. Texas Department of Transportation. Retrieved 2015-01-05. ^ a b Transportation Planning and Programming Division (n.d.). "Farm to Market Road No. 537". Highway Designation Files. Texas Department of Transportation. Retrieved 2015-01-05. ^ a b Transportation Planning and Programming Division (n.d.). "Farm to Market Road No. 538". Highway Designation Files. Texas Department of Transportation. Retrieved 2015-01-05. ^ a b Transportation Planning and Programming Division (n.d.). "Farm to Market Road No. 539". Highway Designation Files. Texas Department of Transportation. Retrieved 2015-01-05. ^ a b Transportation Planning and Programming Division (n.d.). "Farm to Market Road No. 540". Highway Designation Files. Texas Department of Transportation. Retrieved 2015-01-06. ^ a b Transportation Planning and Programming Division (n.d.). "Farm to Market Road No. 541". Highway Designation Files. Texas Department of Transportation. Retrieved 2015-01-06. ^ a b Transportation Planning and Programming Division (n.d.). "Farm to Market Road No. 542". Highway Designation Files. Texas Department of Transportation. Retrieved 2015-01-06. ^ Transportation Planning and Programming Division (n.d.). "Farm to Market Road No. 543". Highway Designation Files. Texas Department of Transportation. Retrieved 2015-01-05. ^ a b Transportation Planning and Programming Division (n.d.). "Farm to Market Road No. 544". Highway Designation Files. Texas Department of Transportation. Retrieved 2015-01-05. ^ a b Transportation Planning and Programming Division (n.d.). "Farm to Market Road No. 545". Highway Designation Files. Texas Department of Transportation. Retrieved 2015-01-06. ^ a b Transportation Planning and Programming Division (n.d.). "Farm to Market Road No. 546". Highway Designation Files. Texas Department of Transportation. Retrieved 2015-01-06. ^ a b Transportation Planning and Programming Division (n.d.). "Farm to Market Road No. 547". Highway Designation Files. Texas Department of Transportation. Retrieved 2015-01-06. ^ "Map of FM 547". Google Maps. Retrieved August 1, 2016. ^ a b Transportation Planning and Programming Division (n.d.). "Farm to Market Road No. 548". Highway Designation Files. Texas Department of Transportation. Retrieved 2015-01-06. ^ a b Transportation Planning and Programming Division (n.d.). "Farm to Market Road No. 549". Highway Designation Files. Texas Department of Transportation. Retrieved 2015-01-06. ^ Transportation Planning and Programming Division (n.d.). "Farm to Market Road No. 3549". Highway Designation Files. Texas Department of Transportation. Retrieved July 27, 2016. ^ Google (July 3, 2017). "Overview Map of FM 549" (Map). Google Maps. Google. Retrieved July 3, 2017. ^ a b Transportation Planning and Programming Division (n.d.). "Farm to Market Road No. 550". Highway Designation Files. Texas Department of Transportation. Retrieved 2015-01-05. ^ a b Transportation Planning and Programming Division (n.d.). "Farm to Market Road No. 551". Highway Designation Files. Texas Department of Transportation. Retrieved 2015-01-05. ^ a b Transportation Planning and Programming Division (n.d.). "Farm to Market Road No. 552". Highway Designation Files. Texas Department of Transportation. Retrieved 2015-01-05. ^ a b Transportation Planning and Programming Division (n.d.). "Farm to Market Road No. 553". Highway Designation Files. Texas Department of Transportation. Retrieved 2015-01-06. ^ a b Transportation Planning and Programming Division (n.d.). "Farm to Market Road No. 554". Highway Designation Files. Texas Department of Transportation. Retrieved 2015-01-06. ^ a b Transportation Planning and Programming Division (n.d.). "Farm to Market Road No. 555". Highway Designation Files. Texas Department of Transportation. Retrieved 2015-01-06. ^ a b Transportation Planning and Programming Division (n.d.). "Farm to Market Road No. 556". Highway Designation Files. Texas Department of Transportation. Retrieved 2015-01-06. ^ a b Transportation Planning and Programming Division (n.d.). "Farm to Market Road No. 557". Highway Designation Files. Texas Department of Transportation. Retrieved 2015-01-06. ^ a b Transportation Planning and Programming Division (n.d.). "Farm to Market Road No. 558". Highway Designation Files. Texas Department of Transportation. Retrieved 2015-01-06. ^ a b Transportation Planning and Programming Division (n.d.). "Farm to Market Road No. 559". Highway Designation Files. Texas Department of Transportation. Retrieved 2015-01-06. ^ a b Transportation Planning and Programming Division (n.d.). "Farm to Market Road No. 560". Highway Designation Files. Texas Department of Transportation. Retrieved 2015-01-06. ^ a b Transportation Planning and Programming Division (n.d.). "Farm to Market Road No. 561". Highway Designation Files. Texas Department of Transportation. Retrieved 2015-01-05. ^ a b Transportation Planning and Programming Division (n.d.). "Farm to Market Road No. 562". Highway Designation Files. Texas Department of Transportation. Retrieved 2015-01-05. ^ a b Transportation Planning and Programming Division (n.d.). "Farm to Market Road No. 563". Highway Designation Files. Texas Department of Transportation. Retrieved 2015-01-06. ^ a b Transportation Planning and Programming Division (n.d.). "Farm to Market Road No. 564". Highway Designation Files. Texas Department of Transportation. Retrieved 2015-01-06. ^ a b Transportation Planning and Programming Division (n.d.). "Farm to Market Road No. 565". Highway Designation Files. Texas Department of Transportation. Retrieved 2015-01-05. ^ a b Transportation Planning and Programming Division (n.d.). "Farm to Market Road No. 566". Highway Designation Files. Texas Department of Transportation. Retrieved 2015-01-06. ^ a b Transportation Planning and Programming Division (n.d.). "Farm to Market Road No. 567". Highway Designation Files. Texas Department of Transportation. Retrieved 2015-01-06. ^ a b Transportation Planning and Programming Division (n.d.). "Farm to Market Road No. 568". Highway Designation Files. Texas Department of Transportation. Retrieved 2015-01-06. ^ a b Transportation Planning and Programming Division (n.d.). "Farm to Market Road No. 569". Highway Designation Files. Texas Department of Transportation. Retrieved 2015-01-06. ^ a b Transportation Planning and Programming Division (n.d.). "Farm to Market Road No. 570". Highway Designation Files. Texas Department of Transportation. Retrieved 2015-01-06. ^ a b Transportation Planning and Programming Division (n.d.). "Farm to Market Road No. 571". Highway Designation Files. Texas Department of Transportation. Retrieved 2015-01-06. ^ a b Transportation Planning and Programming Division (n.d.). "Farm to Market Road No. 572". Highway Designation Files. Texas Department of Transportation. Retrieved 2015-01-06. ^ a b Transportation Planning and Programming Division (n.d.). "Farm to Market Road No. 573". Highway Designation Files. Texas Department of Transportation. Retrieved 2015-01-06. ^ a b Transportation Planning and Programming Division (n.d.). "Farm to Market Road No. 574". Highway Designation Files. Texas Department of Transportation. Retrieved 2015-01-06. ^ a b Transportation Planning and Programming Division (n.d.). "Farm to Market Road No. 575". Highway Designation Files. Texas Department of Transportation. Retrieved 2015-01-06. ^ a b Transportation Planning and Programming Division (n.d.). "Farm to Market Road No. 576". Highway Designation Files. Texas Department of Transportation. Retrieved 2015-01-06. ^ a b Transportation Planning and Programming Division (n.d.). "Farm to Market Road No. 577". Highway Designation Files. Texas Department of Transportation. Retrieved 2015-01-05. ^ a b Transportation Planning and Programming Division (n.d.). "Farm to Market Road No. 578". Highway Designation Files. Texas Department of Transportation. Retrieved 2015-01-06. ^ a b c d e Transportation Planning and Programming Division (n.d.). "Farm to Market Road No. 579". Highway Designation Files. Texas Department of Transportation. Retrieved 2015-01-06. ^ a b Transportation Planning and Programming Division (n.d.). "Farm to Market Road No. 580". Highway Designation Files. Texas Department of Transportation. Retrieved 2015-01-05. ^ a b Transportation Planning and Programming Division (n.d.). "Farm to Market Road No. 581". Highway Designation Files. Texas Department of Transportation. Retrieved 2015-01-06. ^ a b Transportation Planning and Programming Division (n.d.). "Farm to Market Road No. 582". Highway Designation Files. Texas Department of Transportation. Retrieved 2015-01-06. ^ Transportation Planning and Programming Division (n.d.). "Farm to Market Road No. 583". Highway Designation Files. Texas Department of Transportation. Retrieved 2015-01-06. ^ a b Transportation Planning and Programming Division (n.d.). "Ranch to Market Road No. 584". Highway Designation Files. Texas Department of Transportation. Retrieved 2014-12-26. ^ Transportation Planning and Programming Division (n.d.). "Urban Road No. 584". Highway Designation Files. Texas Department of Transportation. Retrieved July 9, 2017. ^ Google (July 9, 2017). "Overview Map of RM 584" (Map). Google Maps. Google. Retrieved July 9, 2017. ^ a b Transportation Planning and Programming Division (n.d.). "Farm to Market Road No. 585". Highway Designation Files. Texas Department of Transportation. Retrieved 2015-01-06. ^ a b Transportation Planning and Programming Division (n.d.). "Farm to Market Road No. 586". Highway Designation Files. Texas Department of Transportation. Retrieved 2015-01-06. ^ a b Transportation Planning and Programming Division (n.d.). "Farm to Market Road No. 587". Highway Designation Files. Texas Department of Transportation. Retrieved 2015-01-06. ^ a b Transportation Planning and Programming Division (n.d.). "Farm to Market Road No. 588". Highway Designation Files. Texas Department of Transportation. Retrieved 2015-01-05. ^ a b Transportation Planning and Programming Division (n.d.). "Farm to Market Road No. 589". Highway Designation Files. Texas Department of Transportation. Retrieved 2015-01-05. ^ a b Transportation Planning and Programming Division (n.d.). "Farm to Market Road No. 590". Highway Designation Files. Texas Department of Transportation. Retrieved 2015-01-05. ^ a b Transportation Planning and Programming Division (n.d.). "Farm to Market Road No. 591". Highway Designation Files. Texas Department of Transportation. Retrieved 2015-01-06. ^ a b Transportation Planning and Programming Division (n.d.). "Farm to Market Road No. 592". Highway Designation Files. Texas Department of Transportation. Retrieved 2015-01-06. ^ a b Transportation Planning and Programming Division (n.d.). "Farm to Market Road No. 593". Highway Designation Files. Texas Department of Transportation. Retrieved 2015-01-06. ^ a b Transportation Planning and Programming Division (n.d.). "Farm to Market Road No. 594". Highway Designation Files. Texas Department of Transportation. Retrieved 2015-01-05. ^ a b Transportation Planning and Programming Division (n.d.). "Farm to Market Road No. 595". Highway Designation Files. Texas Department of Transportation. Retrieved 2015-01-06. ^ a b Transportation Planning and Programming Division (n.d.). "Farm to Market Road No. 596". Highway Designation Files. Texas Department of Transportation. Retrieved 2015-01-06. ^ a b Transportation Planning and Programming Division (n.d.). "Farm to Market Road No. 597". Highway Designation Files. Texas Department of Transportation. Retrieved 2015-01-06. ^ a b Transportation Planning and Programming Division (n.d.). "Farm to Market Road No. 598". Highway Designation Files. Texas Department of Transportation. Retrieved 2015-01-06. ^ a b Transportation Planning and Programming Division (n.d.). "Farm to Market Road No. 599". Highway Designation Files. Texas Department of Transportation. Retrieved 2015-01-06.